Chandigarh's Zakir Hussain Rose Garden will host 46th Rose Festival from February 23-25. 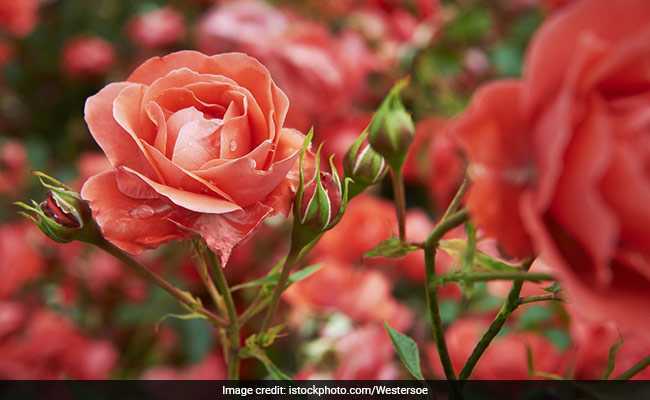 Chandigarh Rose Festival 2018 will see 829 varieties of roses. Chandigarh's famous Zakir Hussain Rose Garden, one of Asia's largest rose gardens, is all set to welcome Indian and international visitors for the 46th Rose Festival. 829 varieties of roses spread across 30 acres of land will be delighting the visitors during the three-day festival that begins today. Apart from alluring roses, helicopter rides are also one of the major attractions of the rose fest. Cultural evenings are also planned at Leisure Valley where singers Kulwinder Billa, Gippy Grewal and Ankit Tiwari will woo the audience in the evenings. Special contests will also be held to keep the visitors hooked. Organised by the Chandigarh Municipal Corporation, Punjab Governor VP Singh Badnore inaugurated the Rose Festival today with BJP MP Kirron Kher as the chief guest. The cost of Chandigarh's Rose Festival 2018 is expected to come around Rs 55.67 lakhs. Roses: 1,400 rose beds comprising of 42,000 rose plants of 829 varieties will be on display. Helicopter rides: Visitors can enjoy a 7-10 minutes of helicopter ride from above 700 Feet that take off from Parade Ground, Sector 17. Each helicopter rider will be given an insurance of Rs 50 lakh. The ride can be booked with Heritage Aviation Pvt Ltd and will cost Rs 2,380 per person. It can be booked at Hotel Mount View, Sector 10, Hotel Shivalik View, Sector 17 and Sukhna Lake in Chandigarh. Cultural Evenings: Punjabi singer Kulwinder Billa will croon for the audience on February 23, Friday. Gippy Grewal will sing on February 24, Saturday and Bollywood singer Ankit Tiwari will woo the audience on February 25, Sunday. Contests: Brass and pipe band, flower hat making, folk dance, Mr and Miss Rose, Quizzes, Antakshari among others. Enjoy Chandigarh Rose festival with friends and family and make 'rosy memories'!